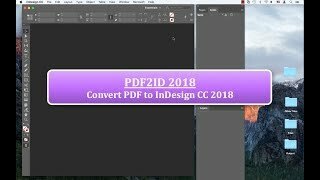 PDF2ID v3.5 contains the Graphics Options panel; Learn about the settings when converting images and vector graphics in a PDF to InDesign format. 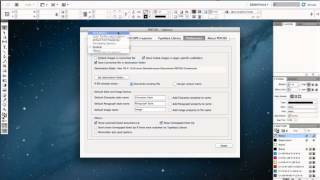 This tutorial goes into the details of understanding how you can control your graphics conversions using PDF2ID. 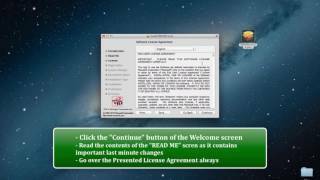 Welcome to the PDF2ID – Graphics Options explanation video. 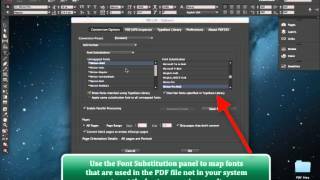 Today we want to go over the Graphics Options panel available in PDF2ID. 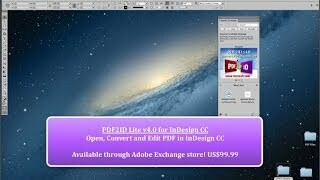 As most of you are aware, PDF2ID has been designed to deliver the best PDF to InDesign conversion. 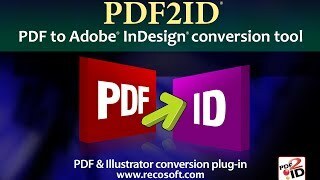 However, many of you may not be aware of the advanced Graphics options in PDF2ID. 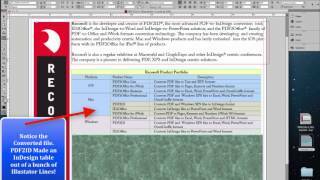 Today, we’re going to delve right into the image and graphics handling capability of PDF2ID. 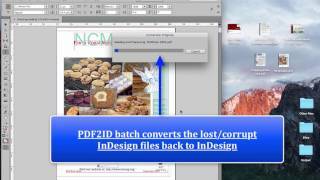 Here we have PDF2ID running within InDesign. 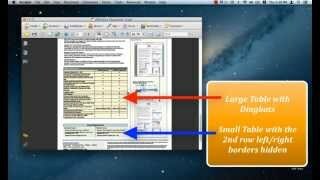 The window you are seeing is the main PDF2ID Options window. 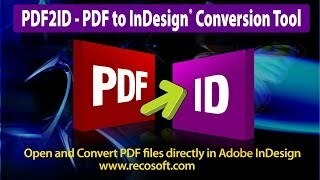 PDF2ID allows you to make detailed conversion settings related to images and graphics. Lets just go over this. What we want to do is click the “Options” drop down menu and choose the Graphics Options. You’ll notice that a new set of choices appears. All of these choices affect how you want images and vector graphics to be processed and converted. The first 4 choices from the top that say “Convert RGB/CMYK images” and “Convert non-RGB/CMYK images” allow you to specify to what format you want images converted. 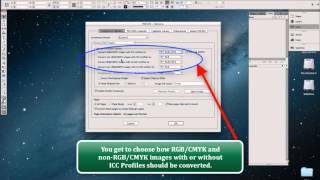 Clicking the first one – “Convert RGB/CMYK images with ICC profiles to:” you’ll notice that you can specify that images can be converted to the any of the types listed here. Lets click on each of ensuing options and observe the options available. You get to appreciate the level of control PDF2ID gives you when converting images. There is a little checkbox to the top-right that says “Preserve Profile”. This is marked by default and basically it means that the ICC profile or device profile of the image is retained during the conversion. Lets move to the 5th row – that starts with “Compression”. 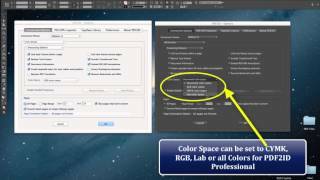 The Compression menu is only enabled if you set any of the image types to convert to as JPEG. Lets just set the image type to convert to as JPEG for one of the image types. We notice that you now get to specify the compression of the JPEG image. Next we have the resolution menu. 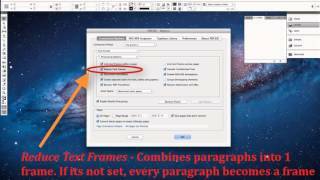 This allows you to specify the resolution of the converted images. Clicking it you see the various types supported. By default its set to Maintain image resolution; but you can change that at will. Moving to the 2nd last row – you see it says “Convert complex vector graphics to”. PDF’s sometimes contain vector graphics in a page that are made of 1000’s or even 10’s of thousands of points. At times these vector graphic overwhelm InDesign to the point where it can become slow and can lead to the file size increasing dramatically. This can become extremely un-desirable in certain instances. So, what PDF2ID does if this option is set, is to convert such complex vector data to an image with the alpha channel set; you can also specify image type and resolution. 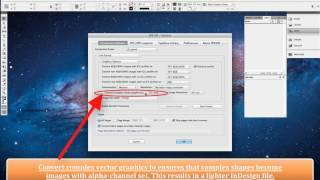 This results in lighter-weight InDesign files being created. Note that Simple lines and rectangles aren’t converted to an image. But complex compound paths and complex cubic curves will be when this is set. Finally it says “Image File Name”. 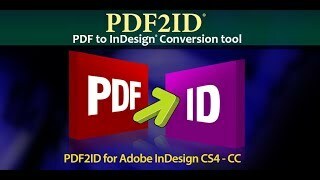 When PDF2ID Converts a PDF to InDesign what it does it links images to the master InDesign file. Now, PDFs don’t contain image names. 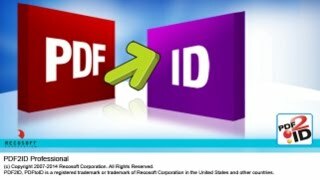 Thus PDF2ID names them to whatever name you give it here. So you can change this name to something you prefer. 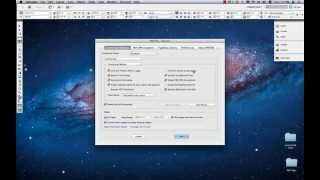 Lets set a few properties and convert a file and see it in action. So, we’re going to set everything to convert to JPEG and set the compression to be medium and make the image names as VectorGraphicsImage. Then also specify to convert complex vector grahics to 300-dpi images. 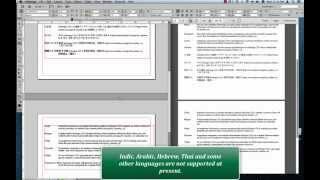 This is a 53-page PDF its converting. 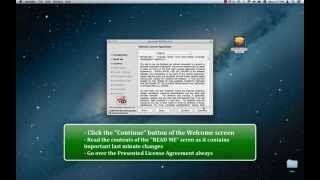 We notice that the file has converted and the layout is intact with text, and table and graphics in place. Now lets observe the Links panel and check the name of the images, image type and dpi. The question is “How do we know a complex vector has been converted to an image”? Well PDF2ID creates a new layer and marks such images with a little note. So lets look for these images. And we note that yes, its been marked. If we open the images in Preview, we note that the Alpha channel has been clearly set. 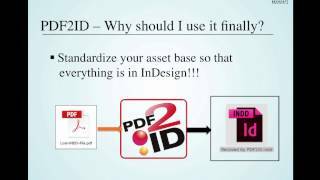 We hope we were able to help you understand the powerful Graphics handling and management capabilities of PDF2ID. If you have any questions please visit us at www.recosoft.com.